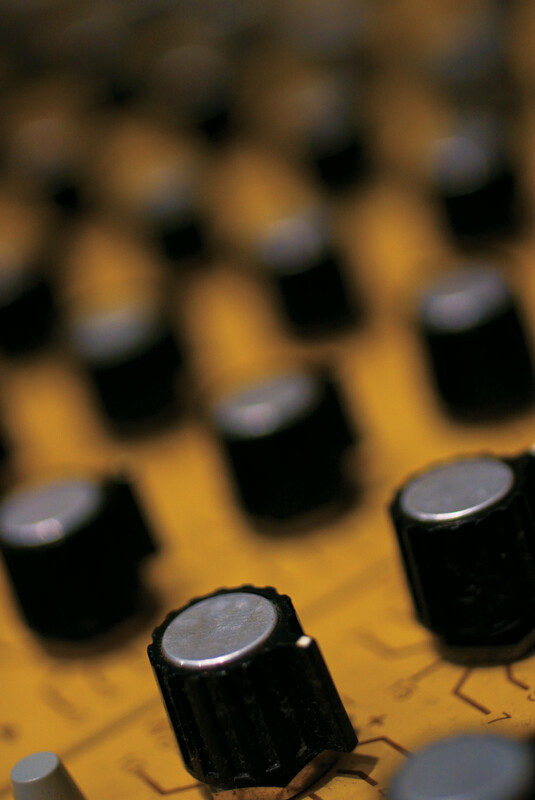 Crushing the Death Magnetic | Tape Op Magazine | Longform candid interviews with music producers and audio engineers covering mixing, mastering, recording and music production. The outcry over the un-listenably loud level of Metallica's Death Magnetic CD has become one of the more visible occurrences of the "loudness wars" in the mainstream media. This has been a problem that's been going on for years in the music industry; relatively only a handful of people have taken it seriously. But now, a lowest-common-denominator threshold has been crossed and the problem has been pushed in our faces. The loudness wars are nothing new, and thus not really the story here. In fact, the trend in recent years has been a slow-but-welcome reversal back to, what I consider, sane CD mastering levels. What separates Death Magnetic, I believe, isn't so much its sheer volume as its contextual timing. I don't think that a mass consumer audience has ever had a direct A/B comparison through most of those darker days of volume/level obliteration. Now that an egregious, high-profile example of hyper-compression/distortion is presented to listeners with a simultaneously available "more natural sounding" version (oddly enough via Activision's Guitar Hero video game), people understand in simple, tangible terms what mastering engineers have been rattling on about for the past decade: smashing a mix degrades the sound quality. But this comparison presents an interesting dichotomy. On the www.metallicabb.com fan forum, a fan quoted correspondence from Death Magnetic mastering engineer, Ted Jensen, of Sterling Sound — "In this case the mixes were already brick walled before they arrived at my place. Suffice it to say I would never be pushed to overdrive things as far as they are here. Believe me I'm not proud to be associated with this one, and we can only hope that some good will come from this in some form of backlash against volume above all else." On one hand I'm happy this has finally happened. Normal, everyday music fans (with average audio equipment) can testify that a world-famous band, producer or record label with a huge budget is squeezing the life (and sound quality) out of recordings. They've learned that albums could sound a lot better. It echoes and validates what my professional counterparts have been saying for years. I should be thrilled. If I was a scientist, I'd be ready to move on to the next research item. Case closed. On the other hand I'm not happy because it devalues the position of the mastering engineer. For decades, mastering engineers were considered the objective, trusted authority in the album making process; much like editors in print publishing. Sonic inconsistencies that weren't noticed in tracking or mixing (either due to lack of objectivity or poor playback environments) were deftly handled in mastering. And all decisions were made with a recording's sonic integrity as the highest priority, regardless of musical genre. Over time, the role of mastering evolved into more than that — one where another level of production (or post-production) was added to the recording in a way it couldn't be addressed prior to mixdown. And that is completely valid as well, because whether one was a traditionalist or a modernist in the trade, your work added real value to the sound quality of the recording. However, in order for recordings to sound professional, audio engineers at every stage of the process need the leeway to do their job properly. In the realm of mastering, that means the ability to fine tune finished mixes (i.e. the mixes need to arrive with headroom) or — at the very least — have their professional opinion respected, even if it's a dissenting opinion about how a song was mixed. When neither takes place, the value of mastering is effectively removed from the process, and the recording suffers.